Sprinting through the stores the day after Thanksgiving won't be the only challenge facing NOLA runners this holiday season. 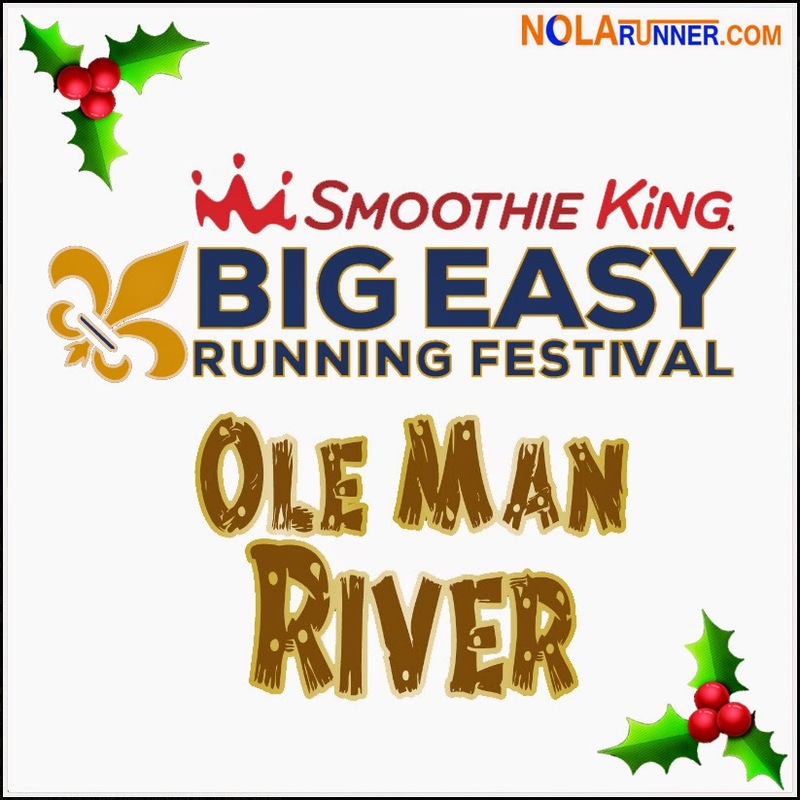 Yesterday, the New Orleans Track Club and the Smoothie King Big Easy Running Festival announced a partnership between their two signature winter half marathons and introduced the Holiday Half Challenge. To complete the Holiday Half Marathon Challenge, participants must run the Big Easy Half Marathon the Sunday before Thanksgiving, November 23rd, then run the Ole Man River Half Marathon the Saturday before Christmas, December 20th. As a reward for completing both 13.1 races, runners will receive an additional Holiday Half Marathon Challenge medallion worthy of keeping on the appropriately themed holiday ribbon, or hang from their holiday tree! The Holiday Half Marathon Challenge is a landmark venture between these two organizations, with the New Orleans Track Club being one of the oldest running clubs in the country, and the Smoothie King Big Easy Running Festival being the newest event on the NOLA running scene. “The opportunity to partner with one of the oldest and largest running clubs in the country was something that any running event should embrace," stated Bill Burke, race director for the Big Easy Running Festival . The Big Easy Half Marathon promises to give runners a great experience, crossing the Mississippi River and covering a lot of territory through downtown and Mid City. The race finishes just outside the home of the New Orleans Pelicans, the Smoothie King Center! Read more about the initial announcement of the race HERE. Now in it’s 33rd year, the Ole Man River Half Marathon has become one of the oldest Half Marathon events in the country. Starting and finishing in New Orleans City Park, this flat and fast course will play host to the 2014 Louisiana RRCA State Half Marathon Championships. I've run the Ole Man River Half Marathon the past six years, and you can check out my 2013 recap HERE. To register for the Big Easy Half Marathon, CLICK HERE. To register for the Ole Man River Half Marathon, CLICK HERE. Register for both races individually, but be sure to use the same name and contact info for each. This will make you automatically eligible for the Holiday Half Marathon Challenge award when you complete BOTH races. Awards will be distributed at the post-race party for the Ole Man River Half in City Park.